Robinson Manufacturing Ltd is pleased to have entered into a multi-year agreement with CATG certification. Robinson Manufacturing Ltd is pleased to have entered into a multi-year agreement with CATG certification. 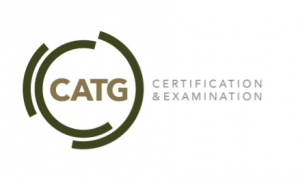 The Team of auditors at CATG have a foundation of experience in joinery and timber-based industries, which was one of the factors which induced our Managing Director Mark Smy to make the switch from our previous provider: “It was obvious in discussions with the CATG team they understand our truss, joist and panel products. There’s a language spoken in the timber industry and we feel we can have those conversations with them”. The system of working with CATG is tremendously efficient with swift paperwork turnaround, the result of which can be seen in our documentation page where you will find our new PEFC and ISO 9001 certificates. The new documents are part of the on-going process of integrating the old and new of Robinson Manufacturing, with our RML Flooring Midlands and Scotland sites joining the established bases of RML Central, South East, Wales & West and North West. You can call any of our sites to discuss your truss and joist requirements from here.